Therapeutic massage compliments the retreat in many ways, by nurturing the relaxation of the mind and body. 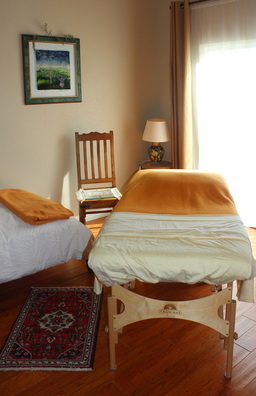 Our therapist blends Swedish and deep tissue massage therapy and customizes the treatment to fit your specific needs. Massage promotes the release of stagnant energy and supports the body's natural ability to heal itself. In order to serve you best, please request upon registration.